I have asked our Hairdresser if she knows what part went wrong. Her husband is well clued up but the dealer was cagey. The motor, I believe and the experts will be able to educate me, both drives, charges and brakes the vehicle. It seems the part that failed is relatively cheap BUT it is not available to anyone except Renault and so the ' motor' for want of a better name has to be returned to France for attention. Even if there is a four year warranty, there is still the inconvenience of being sans motor. Unless Renault ensures their dealers have a spare or one is available quickly. We can build computers to last or fail which applies to anything 'electric' isn't it about time the various industries sorted themselves out and market their product AFTER they have sorted the problems. Presumably the technology is not complicated by modern day standards so why can't they get it right BUT then if Renault can't even produce a decent internal combustion engine now then why are they selling electric ones. I had a Renault 18 it was reliable and when I sold it, had 118,000 miles on the clock, used no oil and original clutch, the killer was the good old French specialty, RUST. A Citroen ZX Volcane,my Wife's favourite went like stink BUT succombed to good old rust. I have only had one French car in 50 years motoring. 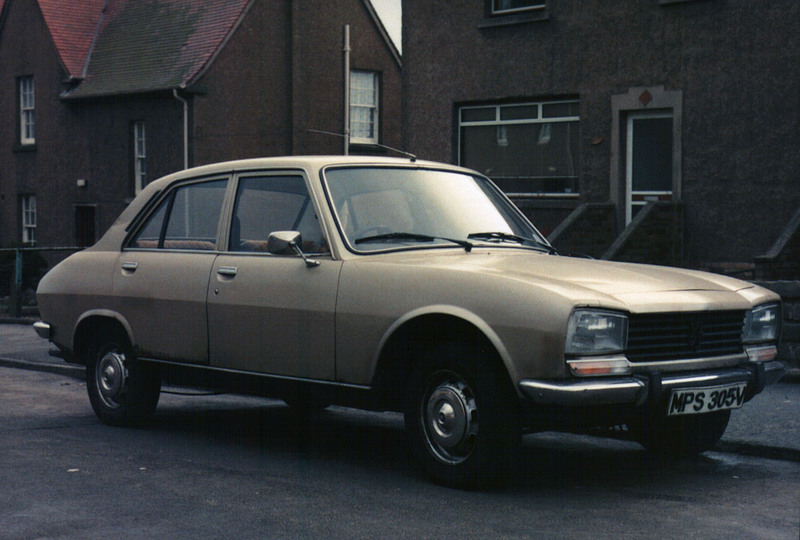 A Peugeot 504. So comfortable and a heap of garbage. The only car I have ever had where the dipstick rusted! I had a mate who had been a Peugeot mechanic and he said they were all like that. Engine developed more condensation than power. I remember going to Peugeot dealer to buy brake parts. I had the chassis number, engine number and VIN number, but they were no use. Parts manager told me that they were always going on strike, so the would fit Girling parts today, Delco parts tomorrow, half and half the day after, then something else entirely the day after that. He told me to take the bits off, take them up to him and he would see what he could do. Eventually the dipstick wasn't the only thing to rust away. Then a Glasgow taxi ran up my rear as I was sitting waiting to turn right at a set of lights. Still managed to sell it on though! Both of our French cars were comfortable and economical. The Volcane was a little goer but had consistent electrical problems. Nothing major but very annoying. Not helped by an unhelpful local dealer. As to trying to buy parts I am mindful of a BL dealer in Truro where i was trying to buy a part for our Rover 2000TC. I was behind a customer that had a fairly new BL 1300. Like Jocko says, the customer was armed with chassis number, part description etc. The storeman ( that's what they were called then and most knew their subject) tried to explain that unless the car was outside the part had to be identified visually. It wasn't it had broken down, all the info the customer had was useless as at that time with the constant problems in the car industry,BL would just get what they could and fit it, even the time of day was important. I suppose we should be grateful that the days of Red Robo have gone. Still so has BL. I remember going in for parts for my Austin 1800. As i told the storeman what I wan ted he quoted the part number from off the top of his head, wrote the numbers down, then went an got the parts for me. About 6 items in all. Best parts department experience I ever had. Our guys at TMS are good,but that storeman was brilliant. The latest episode of Fully Charged features Carol Vorderman talking about EVs, engineering and the future as she sees it developing. Well worth a watch, especially if you are a red blooded male male! Fascinating insight into the forthcoming moon exploration and the Audi Lunar Quattros. I never realised you could 3D print in aluminium!